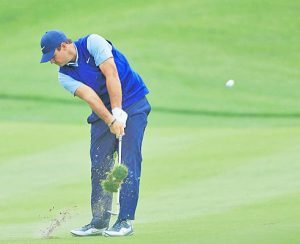 WASHINGTON: Patrick Reed says he’s mentally stronger with better shotmaking entering the Masters than he was last year when he won the green jacket, even if his results don’t show it. Reed yearns for the Masters champion duties, having had his Champions Dinner menu set since age 13, ribeye steak, macaroni and cheese with creamed corn and spinach. “I can’t wait to get back on the property, walk around the grounds and go into the champions locker room and look at all the names there,” Reed said. “This year, having all the extra activities going on, I think it’s going to be a lot of fun. Masters champ Reed set to defend first major title 0 out of 5 based on 0 ratings. 0 user reviews.